Long tunics such as this were worn from about 1000 to 1500 n.C. 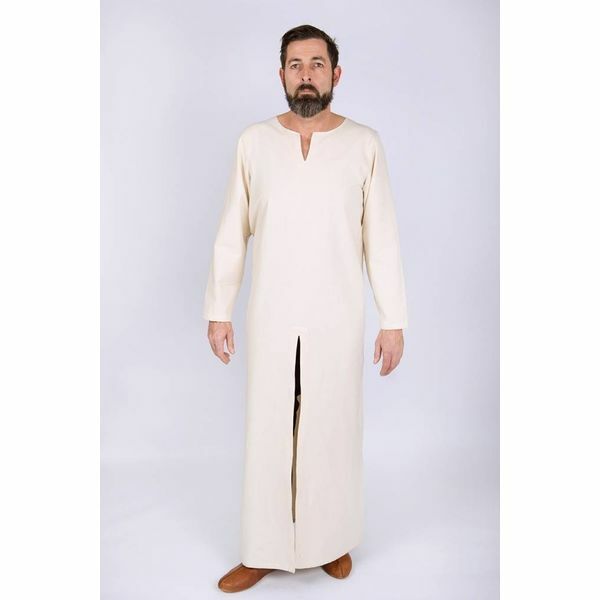 This long tunic is made of cotton and is suitable for all seasons. 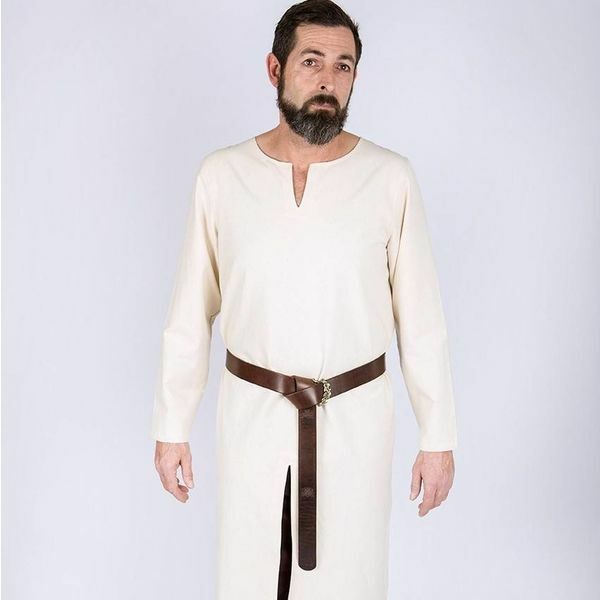 It is suitable to wear under medieval tunics or as a separate garment. If worn tight fitting to the body, the specified measurement should exceed your own chest circumference by 5-8 cm.